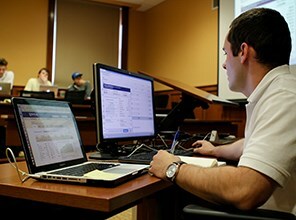 At Roanoke, an accounting concentration makes you aware of the ways you can maintain accurate, up-to-date financial business practices. This includes a focus on methods of compilation, verification, supervision, revision, examination, recording, designing and reporting for both individuals and businesses. Accounting can prepare you for specialization in one of the following areas of accounting: public, corporate, tax, cost, government, budget and audit. We offer a concentration in Accounting. 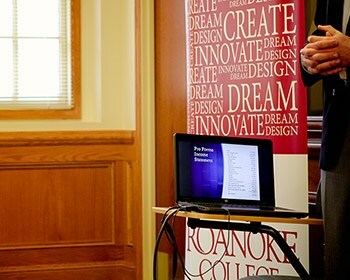 The Princeton Review has named Roanoke College to its list of the top 39 great schools for business/finance majors. 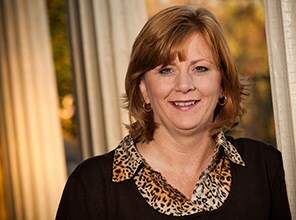 If you're looking to learn about accounting by performing financial analysis on Fortune 500 companies, playing Monopoly, participating in service learning, or eating candy to learn about inventory methods, then Sharon Gibbs is the professor for you. "I like lessons that cause students to communicate with each other and get them to ask questions, because in accounting, those are keys to learning the concepts," she says. 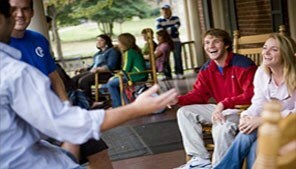 Gibbs requires accounting students to participate in service learning. Working with YWCA and Habitat for Humanity, her students teach members of these organizations basic accounting and money management skills that they can use. Her favorite lesson to teach is about ethics in her auditing class. "I'm always fascinated to hear the new ideas and opinions students have on these topics...and that makes it really fun," says Gibbs. 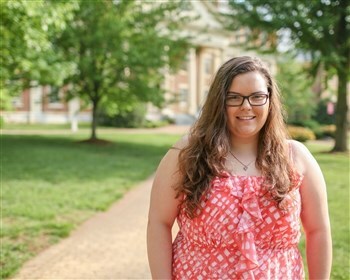 This student's opportunities to pursue all her interests at Roanoke gave her an advantage in the job market. 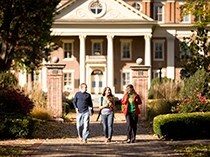 "Roanoke College is a great place to have a good mix of interests in your education. It really sets you apart from students at other institutions," said Emily Huffman '17. An opportunity through a Career Services email arose for her to apply for a job with the APA. "I believe that my mixture of Mathematics and Accounting really made me stand out and was one of the contributing factors to getting me the job that I have," she said. 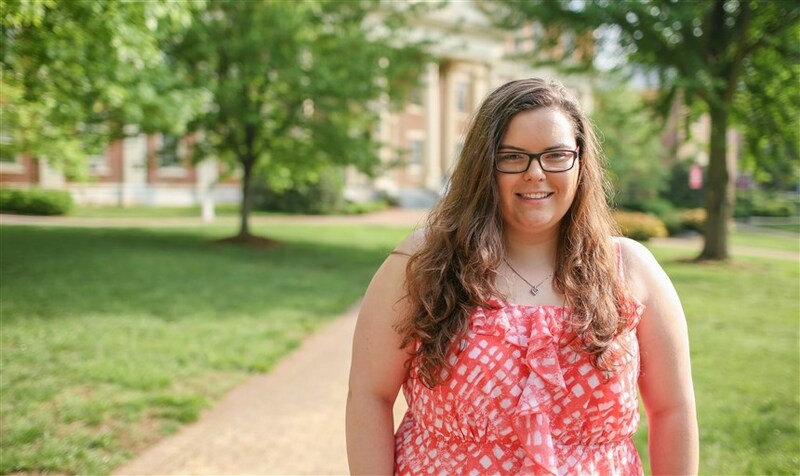 "I have never felt more thankful for all the resources that I took advantage of at Roanoke College."